Even way before 300 BC in the ancient history, hanging anything on the wall, in short called wall hangings, wa a common sight. The most commonly found wall hangings were in the form of tapestries, an ancient art form where vertical pieces of loom have weavings on them. Paintings hung on the walls were equally popular. These hangings were transported from place to place by the noblemen. The tapestries were hung for two reasons: One was obviously in the form of a decorative piece but secondly, the rug hung on the wall provided warmth during the cold times. Hangings also took space on the wall for religious reasons, especially the Greek used to do a lot of this as they put up pictures and tapestries of Hestia, the Greek Goddess. The Greek military found another purpose out of wall hangings. Essential and major military maps, information on battles, kingdom history, border maps, a family’s history etc. were imprinted on those hangings. Anyhow, most of the hangings that were brought out between the 1300s and 1500s were backed by a Christian subject matter. Well, as we all know and see as of now, making use of the wall to hang a lot many things, including shelves, have become a very common practice. Moreover, hanging just about anything in anyway does not always work out as planned. One needs to have an aesthetic sense in doing such things and try searching the Internet for on a perfect way to hang anything on the wall; you will get innumerable suggestions. A lot of issues have to be tackled regarding space, the integrity of the picture, overload of the decorations, defining boundaries, etc. But the main problem arises while aligning the wall hanging. Have you ever had difficulty in hanging a picture, or shelf, or anything for that matter, on the right level on a straight line? You sure would have! 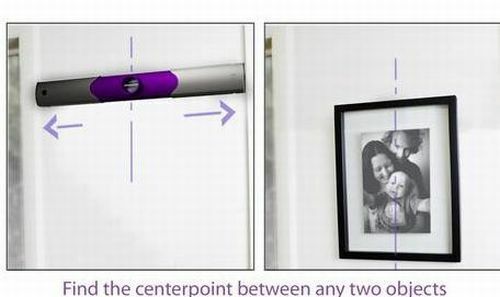 This is why Quirky has come up with what is called as the ‘Leveler’, the perfect picture hanging tool. By owning a Leveler, you will find no necessity for the use of a helper to hang your shelves and pictures. 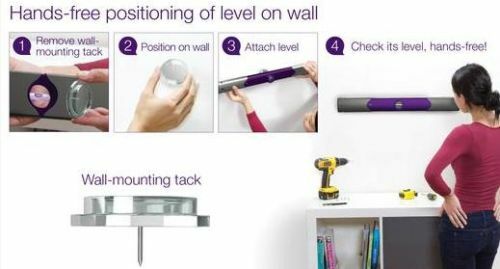 All you need to do is first detach the wall mounting pin and push it onto the wall. Then, press on the Leveler to the wall by pushing its pin in the center and adjust the bubble. This would help hold the leveler in place. Next, the arms of the contraption can be extended to the necessary length and you can mark the points to be drilled. 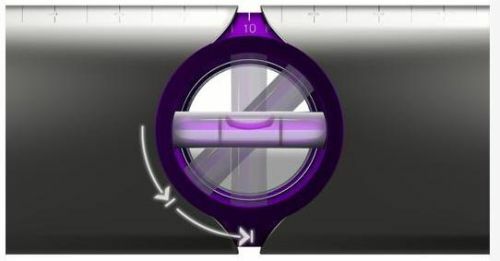 This ruler will expand up to 24” from 13” and for diagonal or hanging otherwise, the bubble helps by rotating at 45 and 90 degree angles too. The ends of the ruler are magnetic which will securely hold the nuts, nails and screws. 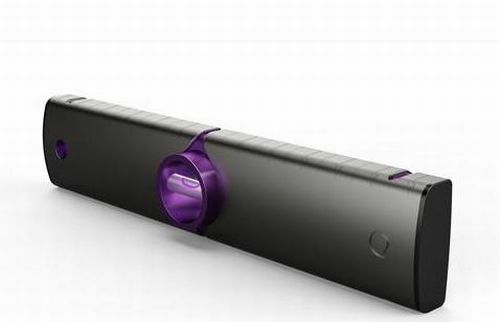 The leveler expands at the same rate on both sides due to an internal mechanism. Bring out your aesthetic sense and let Leveler help you make it all picture perfect for just $30.00 only. Now if this leveler looks to be unique, take a look at Social Media Clock and Atari Wall.